I've used lip scrubs in the past, the most notable being by the brand Fresh. I liked it enough to use it up, but not so much that I repurchased as soon as it ran out. My love for Sara Happ lip slip runs deep. I live in a dry, warm climate that gets really windy, and so my lips are usually also very dry. I have a tendency to lick or even bite them (a nervous habit I've had since I was a kid) and although I try my best to leave them alone, I manage to dry them out anyway. One thing that has helped is her lip balm, but another recent discovery is her lip scrub. 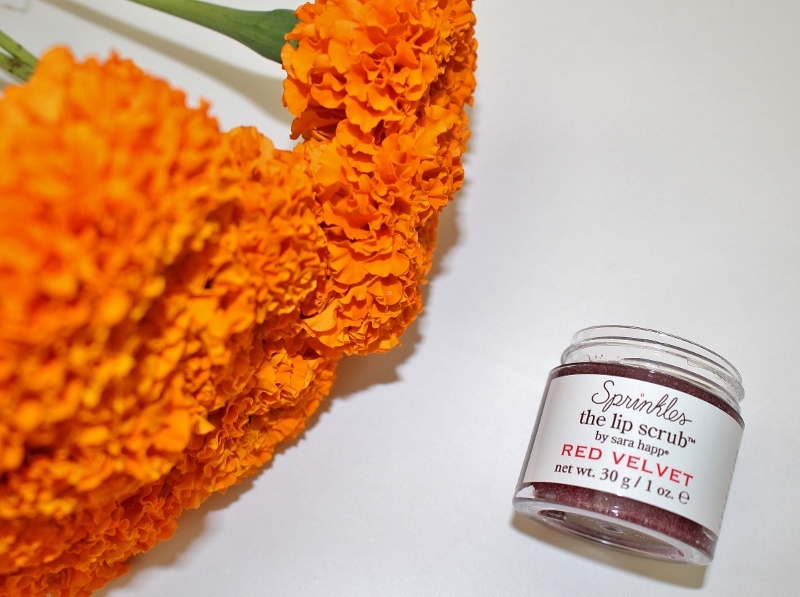 Think of a lip scrub like a body scrub, meaning that its purpose is to exfoliate and prepare your lips for other products like lipstick and gloss. It helps ensure a smooth base for anything you decide to use. Liquid lipsticks are super trendy at the moment. Pretty, yes... but very drying! The consistency is almost like wet sand. It's effective enough to slough off dry, chapped skin but it isn't harsh either. And the smell! The smell is so decadent! It literally smells like the red velvet cake that we had at our wedding. Part chocolate, part I don't know what but it's amazing I haven't eaten this little tub for dessert. I thought before opening the package that it would have an artificially sweet scent, but that's not the case. It smells like the real thing. I've never used a lip scrub and you make me want to get this right now. Lip scrubs are always something that I forget about, but are so important. This one sounds amazing! I haven't ever used a lip exfoliator but I'm trying to be a real adult over and and up my beauty game so I'll try this one out! This sounds so good! I know I should exfoliate my lips more but it feels so messy to me with the granules lol! I have the ELF exfoliator in a stick form...I should probably try incorporate it into my routine again! 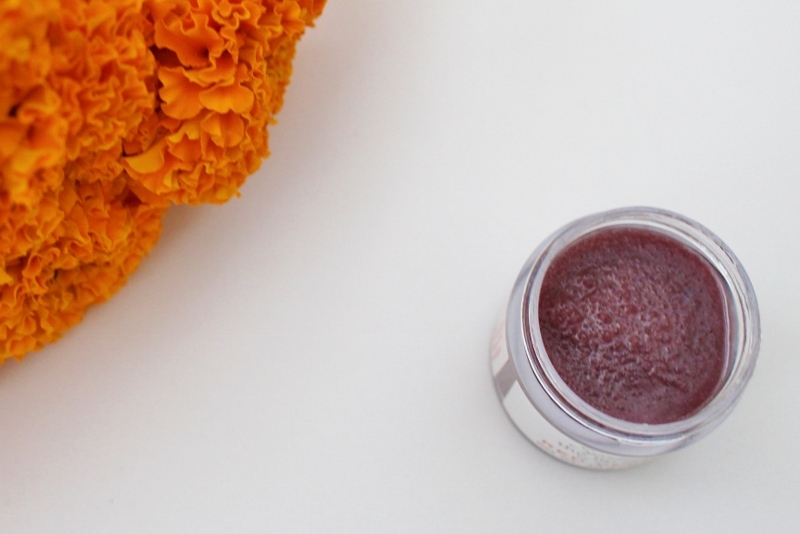 I've never tried a scrub made specifically for your lips. I should though because mine are usually dry too. Thanks for sharing! i will try this out if I can get it shipped here. I live in cold climate and love me some matte lips too. Right now I use Lush' lipscrub but always open to new possibilities. I've never tried a lip scrub before, I can't believe it! This one sounds amazing, especially during the cold dry winter! Thank you ladies, I know that lip scrubs aren't normally part of people's skincare routines but I have noticed a difference after using mine. I hope you'll give one a try! This sounds wonderful! I love red velvet so I will be picking this one up asap. Thanks for the review. I agree with Rachelle! Your post makes me want to try a lip scrub right now! I do feel like I ought to use one a couple of times per week to really clean off all the products I use and start fresh. The smell and taste really do sound delicious! There are a lot of Services in Dubai but if you want to convert your dreams into reality Escorts in Dubai. then its is the best spot you can visit.